U.S. Turns Up The Pressure On Swiss Banks! Thousands of Swiss bank workers have seen their data handed over to justice authorities in the United States and are now living with a considerable amount of uncertainty. Two years ago the US Department of Justice (DOJ) started investigating about ten Swiss banks suspected of helping thousands of wealthy Americans illegally evade taxes. The DOJ demanded that Swiss banks supply it with all the data of controversial transactions, including the names of employees who dealt with clients subject to US tax laws and lists of American clients who have moved assets out of their accounts to another bank (Leavers Lists). 2009: Switzerland’s biggest bank UBS agrees to turn over more than 4,450 client names and pay a $780 million fine after admitting to criminal wrongdoing in selling tax-evasion services to wealthy Americans. July 2011: The second-biggest bank, Credit Suisse, comes under criminal investigation by US. The bank later makes a provision for a potential fine of CHF295 million. February 2012: US justice department indicts Wegelin, Switzerland's oldest private bank, on charges that it enabled wealthy Americans to evade taxes on at least $1.2 billion hidden in offshore accounts. June 2012: US treasury department reaches a tentative agreement with Switzerland to help banks comply with US tax evasion regulations. June 2012: Bank Julius Baer hands 2,500 employee names to US authorities in a bid to free itself from the tax probe, according to lawyers. August 2012: Global bank HSBC hands over details of current and former employees to the US authorities. November 2012: Private bank Pictet confirms it is also under investigation by the US. December 2012: Two bankers and one former employee of the Zürcher Kantonalbank charged by US, accused of helping US clients avoid taxes. January 2013: Wegelin private bank shuts its doors, following a guilty plea to charges of helping wealthy Americans evade taxes through secret accounts. It agrees to pay nearly $58 million in fines on top of $16.3 million in forfeitures already obtained by the authorities. 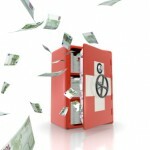 May 2013: Swiss government presents bill to parliament that would let Swiss banks hand over internal information to US to avoid threatened criminal charges – though the banks still face fines likely to total billions of dollars.The bill aims to save the banks from heavier punishment in the United States for helping wealthy tax cheats, by sidestepping its secrecy laws to let bankers disclose data to US prosecutors. June 2013: Parliament rejects the so-called Lex USA bill, telling the government to make the decision. July 3, 2013: The government announces a new data transfer framework for banks. Finance Minister Eveline Widmer-Schlumpf presents a “plan B”, under which banks which cooperated with the United States authorities would be deemed not to have violated Article 271 of the penal code, which forbids collaboration with foreign authorities. The uncertainty felt by bank workers certainly didn’t ease after the Swiss parliament’s rejection in June of the “Lex USA”, a deal the Swiss cabinet hoped would fix the legal conditions for handing over data and solve the tax evasion dispute between the two countries. At the beginning of July, Finance Minister Eveline Widmer-Schlumpf presented a “plan B”, under which the cabinet agreed to give banks special permission to cooperate with the United States authorities, paving the way for financial institutions to share data in a bid to avoid criminal charges for allegedly helping tax dodgers. It seems that Swiss banks blacklisted by the US Department of Justice would be barred from making dollar payments via New York or London clearing accounts, effectively destroying their international business; so non compliance with US authorities in Not an Option. 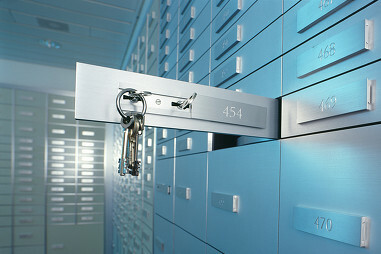 With many Swiss banks under U.S. investigation for helping American clients dodge taxes, roughly a Credit Suisse, Julius Baer, the Swiss arm of Britain's HSBC, privately held Pictet and state-backed regional banks Zuercher Kantonalbank and Basler Kantonalbank; the government is anxious to secure an agreement that satisfies U.S. demands for data to help catch the tax cheats but also wants to preserve at least some elements of its cherished tradition of banking secrecy, which has long been a key part of the Alpine nation's allure for depositors. It remains to be seen how the United States will react to "plan B". UBS, Switzerland's biggest bank, has said it could see client money outflows of 12 billion Swiss francs ($13 billion) in Europe as a result of a crackdown on tax evasion there, while rival Credit Suisse said clients in western Europe could withdraw up to $37 billion in the next few years. The sector is unsure how much an eventual settlement with the United States will cost them, but total fines are likely to run into billions of dollars. In the meantime, up to 100 others of Switzerland's 300 or so banks are suspected of having tax evaders among their clients. They have no clear guidance on what data they will need to send. 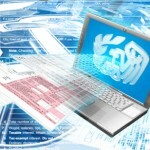 Foreign Tax Credit Compliance Tips! The foreign tax credit laws are complex. Below are some quick summaries of the more complex areas of the law long with links to web pages on IRS.GOV with additional helpful resources. If a taxpayer receives foreign sourced qualified dividends and/or capital gains (including long-term capital gains, unrecaptured section 1250 gain, and/or section 1231 gains) that are taxed in the U.S. at a reduced tax rate, the taxpayer must adjust the foreign source income that is reported on Form 1116, line 1a. Otherwise, the allowable foreign tax credit may be significantly overstated which can trigger a substantial underpayment penalty. Interest expense must be apportioned between U.S. and foreign source income using an asset method. See Publication 514 for more information on the asset methods. Charitable contributions are not apportioned against foreign source income. The amount of foreign tax that qualifies is not necessarily the amount of tax withheld by the foreign country. If you are entitled to a reduced rate of foreign tax based on an income tax treaty between the U.S. and a foreign country, only that reduced tax qualifies for the credit. Need Foreign Tax Credit Advise? or Toll Free at 888-8TaxAid ( 888 882-9243 ). For more details about the topics above, go to: Foreign Tax Credit Compliance Tips. 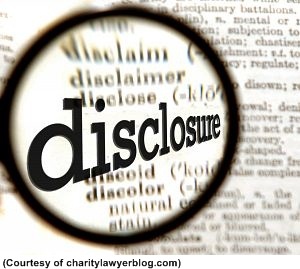 Things to Consider when “Opting Out” of the Offshore Voluntary Disclosure Program (OVDP)? 1. Things May Get Better. 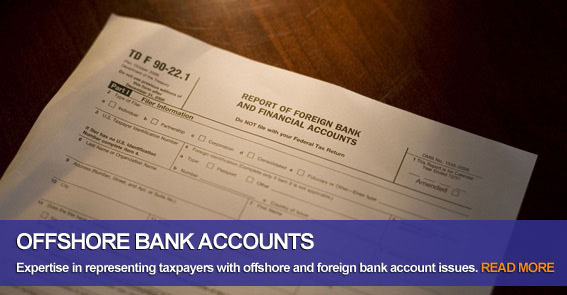 According to a report from the Taxpayer Advocate, as of September 29, 2012 the average FBAR (Foreign Bank Account Report) penalty imposed in the 2009 Offshore Voluntary Disclosure Program (OVDP) opt-out cases is $15,737. That figure may be misleading because not all of the 2009 opt-out cases have been closed and it seems likely that it is the larger, more difficult ones that are still open. Those opt-outs have a potential to skew the averages higher. Still the Taxpayer Advocate reported that there have been NO criminal tax prosecutions of taxpayers who have opted out. 2. Things May Get Worse. 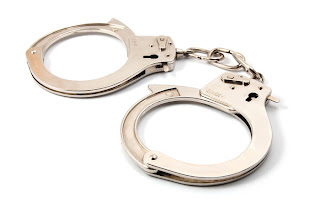 The same report from the Taxpayer Advocate stated that a small number of the opt-out cases accounted for the bulk of the FBAR penalties that were imposed. Moreover, the IRS’ FAQs warn that taxpayers who opt-out may face a “full scope “tax audit of the tax returns will be initiated. It also warns that if issues are found which were not disclosed previously those issues may be the subject of review by Criminal Investigation. 3. The Right to Appeal. There is no right to appeal within the OVDP. In fact, favorable decisions of revenue agents, and their managers are often reversed by so-called technical advisors. These technical advisors do not interface directly with taxpayers or their tax attorneys, and so it is impossible to negotiate with them. Once the opt-out decision is made, however, the taxpayer is given the right to appeal a decision to impose FBAR penalties to the IRS Appeals Division. The IRS Appeals Division is a semi-independent portion of the IRS whose stated mission is to “resolve tax controversies on a basis which is fair and impartial to the IRS and the taxpayer. One of the advantages of the IRS Appeals Division is that the Appeals Officers are permitted to settle a case based upon the “hazards of litigation.” This allows Appeals Officers the flexibility to settle an FBAR case based upon all of the facts, and circumstances, and based upon a percentage of the amount of the potential FBAR penalty. 4. The IRS Needs the Approval of a Federal District Court Judge to Assess the FBAR Penalty. The IRS has the ability to assess an FBAR penalty without judicial review. However, unlike with a tax deficiency the IRS may not use its administrative powers to file tax liens, or tax levies. Instead it must file suit in federal district court in order to obtain a judgment. In the district court the burden of proof is on the IRS to show that the taxpayer willfully, that is intentionally, failed to file an FBAR. So far the IRS has filed only a handful of such lawsuits. To date the lawsuits have involved fairly egregious situations so it is not surprising that the IRS has prevailed. Whether the IRS will bring lawsuits against taxpayers where the facts are not so clear remains to be seen. Generally speaking , however, the IRS is averse to losing cases which might set a bad precedent; so it may be a long time before the IRS is willing to even consider bringing all but the strongest of cases. However a pair of 2012 federal court decisions have raised the prospect of broadening the definition of willfulness in the failure to file foreign bank and financial account (FBAR) reporting forms. The cases on willful failure to file FBAR disclosure forms—U.S. v. Williams and U.S. v. McBride—look to “willful blindness” to find a knowing failure to file, or a conscious effort to turn a blind eye. With their emphasis on the preponderance of the evidence, the cases also suggest that willfulness can be found on grounds beyond whether the taxpayer had “checked the box” on disclosure on a tax return, the panelists said. Factors can pile up, with some clients, it can add up to willful failure. Although the underlying facts in each case were not the best, the courts might not lightly view those with considerable financial resources who fail to inquire about their potential reporting requirements associated with various interests in foreign financial accounts. 5. Every Situation is Different. The IRS itself admits in FAQ 51 that in some cases an opt out election is the “preferred approach.” It is only after a complete review of all of the facts by a qualified tax litigator that a decision can be made if an opt-out is the right approach. Caymans Makes It Tougher for Wealthy to Hide Money! The Cayman Islands, known as a haven for wealthy Americans seeking to stash cash overseas without scrutiny from the U.S. government, is about to become less secret. 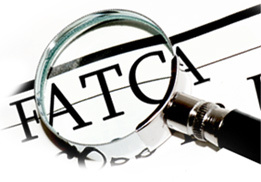 An agreement between the countries will put in place the Foreign Account Tax Compliance Act, or FATCA. 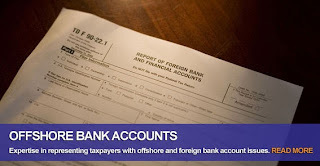 The 2010 law makes it tougher to hide money overseas because foreign banks must report their accounts to the U.S. Internal Revenue Service or face, in some cases, a 30 percent withholding tax. 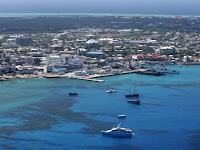 The accord is significant because the Cayman Islands is a major financial center and home to operations for dozens of banks, funds and wealth-management entities, according to Bloomberg BNA. * CIBC FirstCaribbean International Bank. Switzerland and the U.S. signed an intergovernmental agreement in February to comply with FATCA. Separately, the U.S. and Swiss governments are negotiating the terms of handing over data about former U.S. clients suspected of tax evasion. The agreement with the Caymans is another sign that U.S. taxpayers’ accounts are increasingly subject to government scrutiny on multiple fronts. Several other Caribbean jurisdictions with significant financial industries, such as Bermuda and the Bahamas, are among the dozens of countries having discussions about similar accords. So-called intergovernmental agreements, or IGAs, similar to the one announced last week allow banks to share the information with their own governments, which then pass the data on to the IRS. Denise Hintzke, global FATCA leader for Deloitte Tax LLP, said “We are moving toward more global information exchange,” in an Aug. 15 interview. 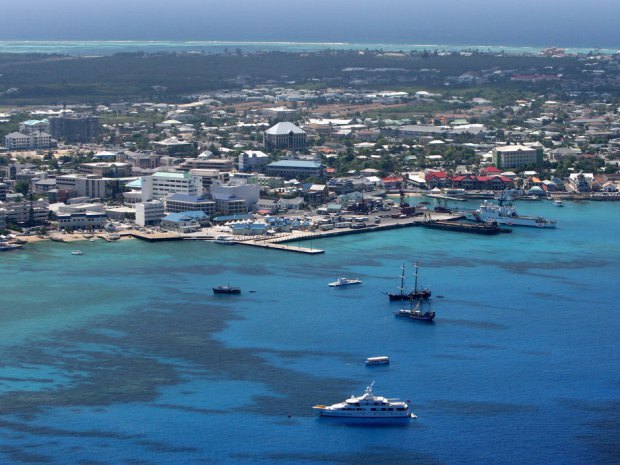 The Caymans accord “is the first step toward being able to do that.” What’s more, the Cayman Islands is entering into a “Model 1” FATCA agreement, she said. “It means that they’re taking on the responsibility of FATCA guidance and regulations and they will take responsibility for enforcing the requirements of the law,” she said. Do Have Un-Reported Income From a Cayman Island Bank?